We have discussed the ways to keep your computer or laptop free of infections using quality anti virus software in the past and that is not what this article is about. Instead, I want to give you some food for thought about protecting yourself and family when it comes to having your computer serviced or repaired. During the course of a day, the IT Technician can easily come into contact with hundreds of items that have been handled by, moved, sneezed or coughed on that have active germs on them. He or she will also shake hands with customers, use telephones, keyboards and mice or come into contact with pets that can also spread germs. A question that probably never crosses your mind as the technician enters your home to work on your personal computer might be important; Do you know where his hands have been? As a matter of fact, I have learned by watching other technicians work, that this question never crosses their minds either. It should, be of concern for both you, the customer and the technician. This issue can easily be addressed as I do it by habit. 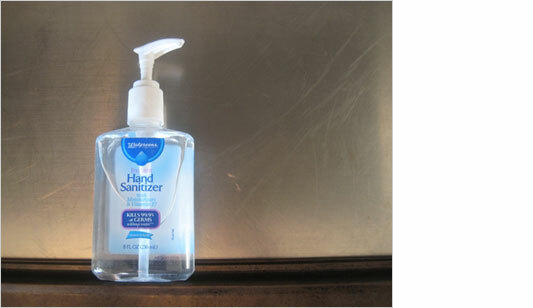 I carry a small bottle of hand sanitizer with me in my automobile and also have one on my work bench. It is a easy process to put a few drops on my hands before and after each job I complete throughout the day. I do this for your protection and mine. The process of hand sanitation is a simple, but important factor of caring about my customer. It goes unnoticed, but I think it is essential and hand sanitizer should be part of every good computer technician’s tool box. Rest assured that it is and will remain an important step that I take before I work on your computer in your home or at my work bench.